About four million people have been charged for mobile phones they already own, spending &pound;500m extra on contracts, according to Citizens Advice. Three of Britain's biggest mobile networks, EE, Three and Vodafone, continue to charge for handsets even after the cost has been paid off. Many customers have no idea they are being charged for phones after their contracts have ended. The practice is "unacceptable", said Citizens Advice boss Gillian Guy. "We need action," she said. "Other companies have already stopped doing this so we're looking for these three major providers to follow suit." Mobile users only need to continue paying for calls, texts and data, or "airtime", when contracts end - but millions get stung with unnecessary extra charges. Citizens Advice's research found that on average customers are overcharged &pound;22 a month. The figure could be as high as &pound;38 for high-end devices such as an iPhone or Samsung Galaxy. Vulnerable people are most at risk of being overcharged. Older people are twice as likely to be charged for a phone they already own longer than 12 months, which could cost them an average of &pound;264. "Consumers should check their phone bills to see if they can save money with a SIM-only contract or upgrade to a new phone," advised Ms Guy. Who's affected and what can you do? What do the phone companies say? Regulator Ofcom is consulting on how to address the problem and has proposed sending a single notification to customers before their contract ends. Citizens Advice said that does not go far enough and that phone companies should separate the cost of mobile service and the phone. O2 has split the cost of its airtime and handset since 2013. Nina Bibby, chief marketing officer for O2, said: "Charging for phones that have already been paid off does nothing but damage customer trust and the reputation of the industry." EE said the splitting idea is "overly simplistic and doesn't give the customers either the transparency or best deal that they deserve". "We agree that customers shouldn't overpay, but we believe that this is best achieved through clear communications with consumers about their options," it said. EE sends alerts before the end of customers' contracts that explain their options. Three said: "We make the length of any contract very clear to new customers and make this information available through our customer service channels at all times." It said it was working closely on the issue of handset financing with the government and regulators. Vodafone said: "We already contact all of our customers when they are approaching the end of their minimum term to let them know their options. These include upgrading their handset or moving to a SIM-only contract so they are not paying anything for a handset." 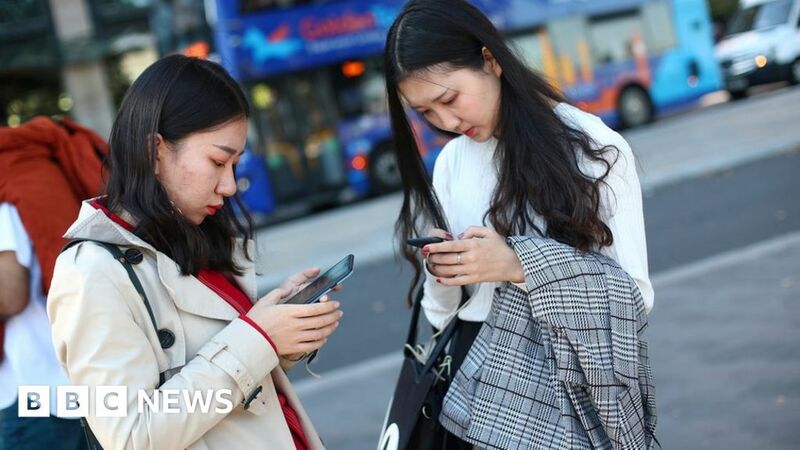 It added that from next month, it will give extra data to people who do not opt for either option but stay on their contract after the end of their minimum term.